In 2009, Elizabeth Blackburn was one of three individuals who received the Nobel Prize for the discovery of the function of telomeres and for determining the enzyme that maintains these structures. Telomeres are the ends of chromosomes, something like the plastic on the end of your shoelaces, Blackburn explained in a TEDx presentation. They protect the ends of chromosomes so that when cells divide, everything stays in place. Blackburn figured out the sequence of this DNA that doesn’t code for anything—this DNA is not carrying the instructions for our cells, nor our familial traits but it is essential. Most plants and animals including humans have telomeres with the same distinctive DNA sequencing. When a cell divides, the telomeres on its chromosome get shorter. Eventually after the cell has divided over a number of times, the telomeres are completely worn off. When the DNA that carries the information is not protected by the telomeres, a signal is sent out and the cell dies. Blackburn worked with a single celled animal called Tetrahymena because it had very long telomeres. She discovered that the Tetrahymena did not age and die. The reason for this was her next discovery which her Nobel prize honored. She discovered an enzyme in the cell that can protect the telomeres, replenishing them by adding the telomeric DNA (T2AG3 repeats) and make them longer. 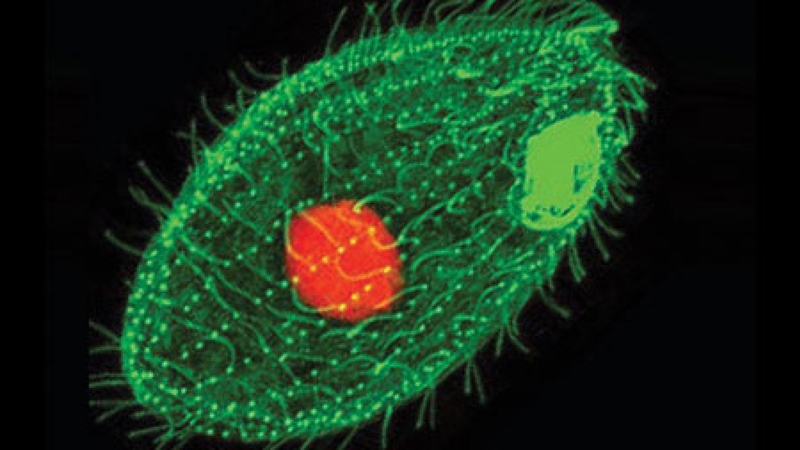 Tetrahymena had an abundant supply of this enzyme. 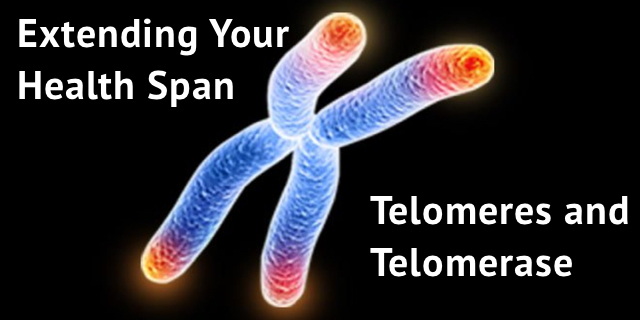 Telomerase is a fountain of youth for cells. But taking large doses of telomerase won’t help humans live forever. In fact, taking telomerase can put you at risk for certain rare cancers, says Dr. Blackburn. And research has discovered that cancer cells use telomerase to increase their longevity. In research published in 2004, Blackburn has found a correlation between length of telomeres and perceived stress. In the series of studies on caregivers of children with a chronic condition, done with Elissa Epel, they observed an association between the number of years that the caregiver spent in chronic stress and the length of the caregivers’ telomeres. They found that the longer the stress had been experienced the shorter the women’s telomeres. Subsequent research by other teams has obtained similar findings according to Dr. Blackburn’s TEDx talk. Interestingly, other research has looked for ways that people can extend their health span. In her TEDx talk, Dr. Blackburn mentioned a study of caregivers of a family member with dementia. In the research, 39 caregivers were randomized to either listen to relaxation music or to meditation practice for 12 minutes a day for two months. The researchers found that the meditation group had greater improvement in their telomerase activity (43%) compared to the music relaxation group (3.7%). Take a look at Dr. Blackburn’s TEDx talk. Can we impact the effects of stress on the cellular level with meditation? Share your thoughts with us in the comments section below.